We are renowned for delivering quality engineered products at economical prices. Bulk Material Handing customers and processing industries have come to depend on the utility of Conveyor Components. Our top notch quality product range serves the varying needs of these industrial application and that too in a very competitive price range. We are looking for queries from Overseas Countries like UK, US, Australia, China, Denmark, France, Netherlands, New Zealand & Norway. Heavy-duty in construction with superior belt pull and variable speed control, our range of Belt Winders are highly in demand in the long wall mines where the conveyors are constantly changing length and moving about. 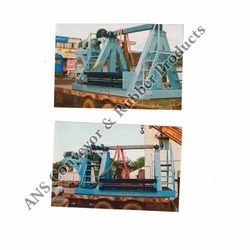 We can provide these winders in the option of hydraulic as well as mechanical types for any size of the belt and any pulling capacity. These are offered in the competitive market prices with the best after sale & services. 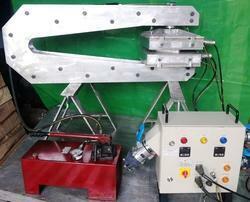 Being an eminent company, we are involved in rendering SPOT REPAIR MACHINE. Our group of technically adept technocrats bring along the high performing range of New Steel Cord and Textile Belts that are made using high grade raw material sourced from various vendors. These Steel cords ensure maximum conveying performance, even under gruelling stress conditions. Moreover, our high end textile belts are also being tailor made at our manufacturing unit keeping the requirements and specification of the clients so as to deliver a high strength textile conveyor belt and that too in the leading industry prices. 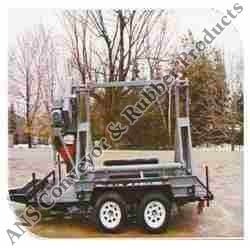 We undertake the manufacturing of Mobile Winder (Trailer Mounted) using quality raw material which ensure its hassle free performance. Our Mobile Winders are made by using latest technology and also are widely appreciated by our clients situated all round the nation. All our product ranges are in confirmation to various set industrial standards. We are an adept company in bringing out a sturdy range of corrosion resistant Rubber Lining that is used in various ceramic and grinding mills. These components are easy to handle during installation and featured with higher capacity utilization and longer life of rotating parts and leak proof fastening system. 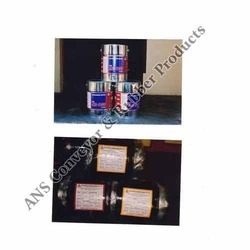 We also customize these products as per customer requirement. 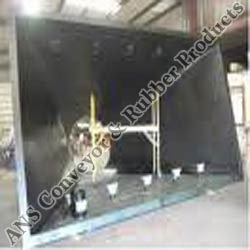 All our rubber linings are available in various types of rubber in house facilities including sandblasting autoclave and painting. Looking for Bulk Material Handling ?